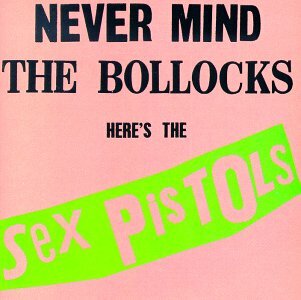 I suppose it was only a matter of time before I reviewed The Pistols, so I had might as well do it now! Barring any mention of the band’s “historical importance” for the moment, I’ll tell you that I thought listening to this album was a blast! The musical ideas are solid (an issue debated by every rock critic on the planet --- I’m obviously taking a very pro-Pistols side), and it’s undeniably easy to get caught up in its spirit. It’s immediately accessible to me and, well, “fun.” That’s surprising considering I thought this was supposed to threaten every sense of my moral being! The historical notoriety of this album means that it has been discussed to death, but even I have to engage in the rhetoric. This was released in 1977, Year Zero for punk music, and this is reportedly the first “real punk” album. It’s apparently the first to combine the simple, three-chord guitar-rock with anti-establishment lyrics. But really, who cares about the history if the music itself is great. I hear complaints that the compositions are too simple. Yes, I also believe that the music is simple, and it’s not even particularly original. But I listen to this album and I don’t want them to change anything about it… whoever said that music had to be complex, anyway???? Everything is solid and (apart from maybe "Problems") just the right length. Wonderful! The group had us believe that they were trying to bring and end to rock music altogether, which of course was ridiculous. If anything, this album is conventional rock music (and surprisingly not all that “punky” as I know the term)! 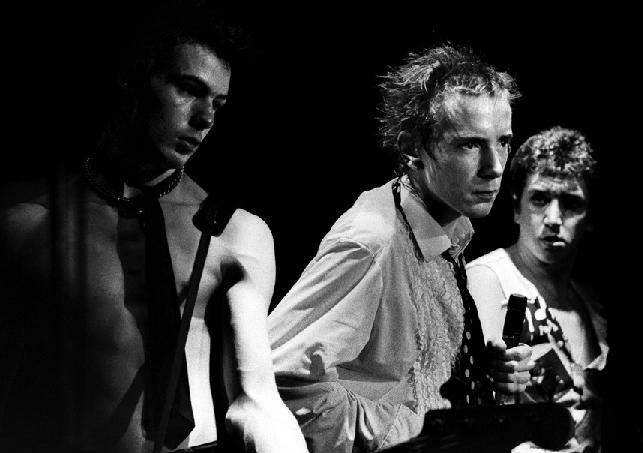 Of course, the band’s main force was the engagingly sarcastic lead singer John(ny Rotten) Lyndon. He's useful, to say the least, especially since there weren’t exactly virtuosos among the instrumentalists, (which is also a good thing, you know). His vocals are as spirited and sarcastic as the lyrics. Surely, he doesn’t personally subscribe to much that’s said in the lyrics, but he does the act convincingly. For example, I don’t think the group members would particularly care to live in an anarchic society, but the spirit of it is definitely there. The controversial reputation of this album is largely dated to year 1977 when it supposedly sent shock waves through the world. (I’m not denying that it did --- I just wasn’t around in 1977, and I’m not willing to believe anything that’s written about it.) Today, it all seems tamer than a pussycat and *gasp* prettier than other punk bands! I don't want to bother commenting about whether it’s overrated, underrated or its lasting legacy… all I can say is it's awesome, and I enjoy it quite a lot.